“Bed & Beverage” is the concept, and it’s a particularly relevant one for Pigalle, one of the new centers of Parisian nightlife. Here a group of globetrotting cocktail experts have teamed up with designer Dorothée Meilichzon to create what essentially amounts to a very stylish cocktail and wine bar with 37 delightfully bohemian rooms attached. 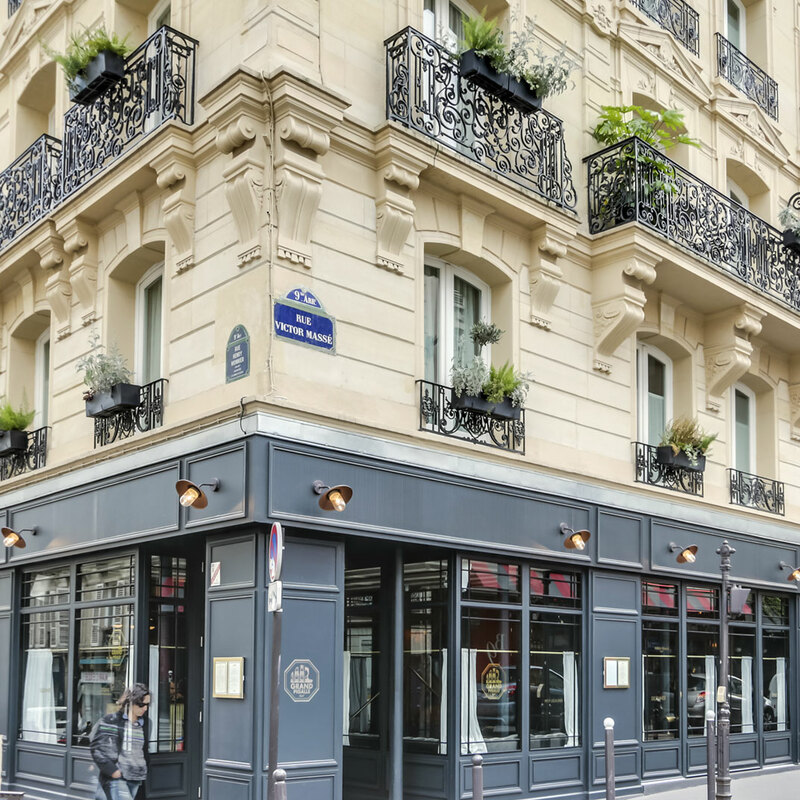 Don’t expect the full palace-hotel treatment — this is the Grand Pigalle Hotel, not the Pigalle Grand Hotel — but do expect a surplus of personality, a vibrant environment, and a stay worth remembering (though we can’t actually guarantee that your memory will cooperate, faced with a mile-long cocktail list and over 200 Italian wines). The rooms are romantic, full of small whimsical touches, references to the heritage of Parisian design, and thoughtful details, right down to the pre-made cocktails waiting in the minibar. The rest of the bar menu is available via room service, which means the rooms really are an extension of the bar itself. And in a way, all of South Pigalle feels like an extension of the Grand Pigalle — SoPi, in the 9th Arrondissement, offers no end of food shops, cocktail bars, and eateries of all stripes. It’s not for everyone — luxury addicts might wish to look elsewhere — but for a pure distillation of modern Parisian nightlife, it’d be awfully hard to top.